Northern Irish indie rock outfit The Late Twos have unveiled ‘Sierra Leone’, with an accompanying video. The track has long been a staple of the group’s live set and they’ve decided to finally release it as a single. 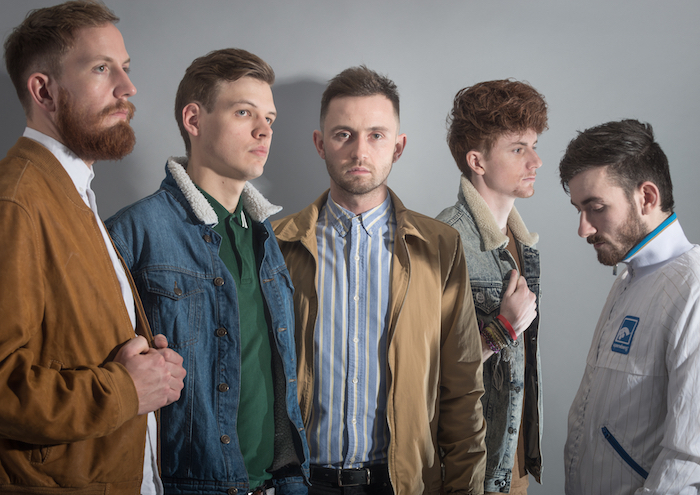 The Belfast five-piece are keen to create feel-good indie rock with a pop slant and the laid-back pace of ‘Sierra Leone’ embodies this. Jangling guitar dances along the solid foundation set by the rhythm section, leading into the group vocal of the chorus, with its infectious refrain. As well as showcasing the musical craftsmanship of the band, ‘Sierra Leone’ highlights the impressive vocal ability of the band’s lead singer, Matty Legge. The off-kilter video is a mesh of imagery, tied together by recurring shots of shadowy figures running against palm tree backdrops. Despite the easy-going nature of the music, violent imagery suggestive of the ravages of war permeates the video, which is pieced together in quite a surreal fashion. The Late Twos have released two EPs to date, The Late Twos and Get Down Before I Pull You Down, and perhaps this new track is just a hint of something bigger in the near future.